At iMoney, we are dedicated to helping our readers save money and budget smarter. That’s why we have created a list of tips that will help you cut down on your shopping expenses while getting the most out of your hard earned money. With these tips and a little effort on your part, it has the potential to save you thousands on your next shopping spree! If you’ve been a credit cardholder for almost a year and have been (efficiently) using it for your transactions, chances are, you’ve collected enough points to either pay for a purchase or exchange for some neat items. Most people tend to forget that *some* credit cards have this feature because let’s face it, we’re all chasing our bills, and keeping track of those reward points is the least of our worries. Well, guess what? The year has come to a close and as we’ve successfully made another lap around the sun, so did our credit cards (in case you haven’t noticed). If you’ve been efficient enough and depending on your credit card utilization, your rewards point could equate to a one-way airfare or even a home appliance at the end of the year. Check out the Citi credit card below which lets you make the most of your Rewards Points. No matter what the occasion is, you could never go wrong in using your cash back credit card (just make sure to settle your credit card bills promptly so that it wouldn’t defeat the purpose of earning a cashback). It doesn’t exactly cut down your shopping cost, however, it will give you some extra cash credit at the end of your credit card’s billing cycle. You may not feel the impact of the cashback upon earning them, but it will amount to a good sum of money in the long run. If you earn ₱500 worth of cash back in a month, that’s ₱6,000 money earned for the entire year! While you don’t get to use that cashback directly, it will, however, give you a better perspective of how much difference a small amount of savings can go. This HSBC credit card gives higher cash back for your dining expenses. They’re a heaven-sent gift for people who love to shop online. From free shipping vouchers to actual discounts, you can score some great deals that will save you a good amount of money. How and where to get shopping vouchers? Zalora – they give ₱300 worth of shopping vouchers when you sign up for their newsletter. Lazada – often times, Lazada explicitly displays their shopping vouchers in their homepage and on their banners. The catch is, the voucher is limited especially during some special shopping seasons like 11-11 and 12-12. ShopBack and iPrice – being aggregator site for different online marketplaces, they also aggregate vouchers from their featured merchants. Metro deals – this website is a treasure trove of discounts and perks. If you’re looking for some good money saving deals for a fancy dinner, vacation packages, hotel bookings, spa services, and etc., you can try your luck in checking out how affordable they can get from this website. ShopBack.ph and iPrice.ph feature a wide array of online merchants in a single catalog. You can compare and contrast items from different stores side-by-side, making it easier to find the lowest price for the item that you want to purchase. These websites also partner many e-commerce giants in the Philippines such as Lazada and Zalora, thus they also have many exclusive discount coupons from their partner merchants. 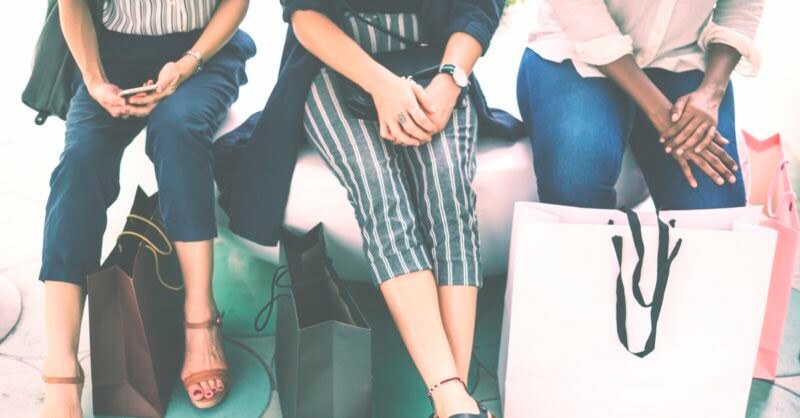 When there’s a sale or promotion on their partner merchants’ sites, you can get exclusive discounts if you shop through their portal and use their vouchers. Many imported items that we purchase in the Philippines go through a layer of transactions and tariffs before it reaches our local stores. From the supplier to the actual retailer, the pricing will undergo a series of pricing adjustments to generate revenue for the resellers. 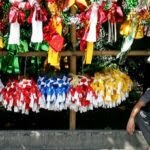 When an imported item reaches the Philippines, the price could be around 20 to 50 percent higher than its actual price. It isn’t easy to shop internationally, the shipping limitation alone will already pose a challenge. You will also account for the shipping fee, which should be pricier than when you shop from local shopping sites. Depending on what you’re shopping for, the savings may or may not be worth the hassle. What are the items best bought from international retailers? Clothing and apparels (especially shoes!) take the cake for this option. Imported shoes made in the United States are at least 20 to 40% less expensive when bought from US-based retailers. Shopping in US-based e-commerce sites used to be impossible for people living outside the US, as shipping are mostly limited domestically. If you don’t know anyone in the US who could shop and ship for you, there are now package consolidation companies based in the US (myus.com/ph/). They provide a US postal address to ship items to and have them delivered to you in the Philippines. The foreign exchange rates change daily, and it fluctuates at any given time in a week. If you’re shopping online from international retailers, ideally, it is wiser to hold off until the exchange rates for peso are higher. Banks may also play a role in this because their exchange rates are usually higher than the actual rates. It helps to have a credit card from a bank that offers good rates and perks for shopping online and internationally. 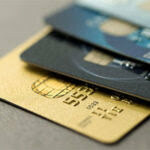 Use credit cards that will multiply your rewards for shopping internationally. You can manually track the prices from one period to another, however, there’s an easier way to do so without having to do it manually. You can go to aggregate sites like iPrice.ph to compare the prices from one merchant to another or install a price tracker extension on your browser. It can tell you if a merchant is actually having a “sale” or not, based on their pricing history. It can tell you which items have been marked down (more applicable to electronics because price adjustments for old variants aren’t explicitly announced by merchants). The countdown to Christmas and the New Year is already well underway and many of us are already feeling the pinch from finding gifts for friends and family while trying not to spend all our money before month’s end. 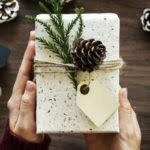 Hopefully, these money-saving tips will help to ensure you and your bank balance remain healthy and happy through this holiday season.